Heros Subs in Lewiston Maine was opened in May of 2017 by Liz Young & Mike Williams. Young & Williams are transpalants and as Liz states, being from Philly she was used to having great sandwiches and that she missed the traditional style subs and sandwiches she was accustom and decided to bring a little bit of home, here. Striving for the best ingredients in their subs, choosing Boar’s Head was an easy decision. 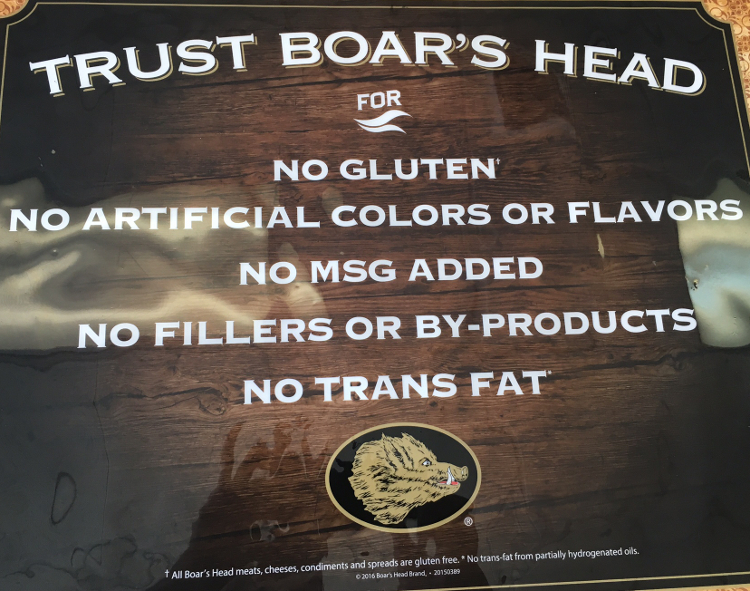 Using Boars Head Premium Meats, Cheeses, and Condiments on all of their sandwiches & wraps means No Gluten, No Artificial Colors or Flavors, No MSG Added, No Fillers or By-Products, and No Trans Fat in any of their sandwiches other than the bread, but they also have a Kontos Gluten Free Wrap Option available. Hero’s features a self serve kiosk for ordering for walk in customers and offers takeout or delivery. They carry Pepsi beverages , Lays & Deep River Chip Brands. If you’re a first-timer to Hero’s go for the “The Hero”, its a traditional New York Style Italian Hoagie/Sub and a top choice for customers. You can also order it as the “Spicy Hero”and they’ll replace the Salami with Pepperoni, the yellow mustard with spicy mustard and add in some roasted red peppers. If you like spicy, you’ll also enjoy they’re Chipotle Chicken Hero Sub. 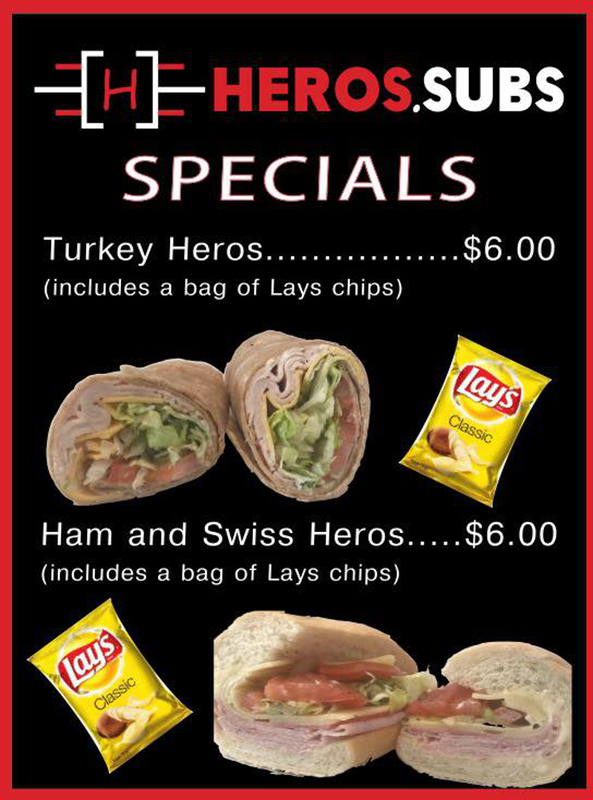 Give Hero’s a try today!